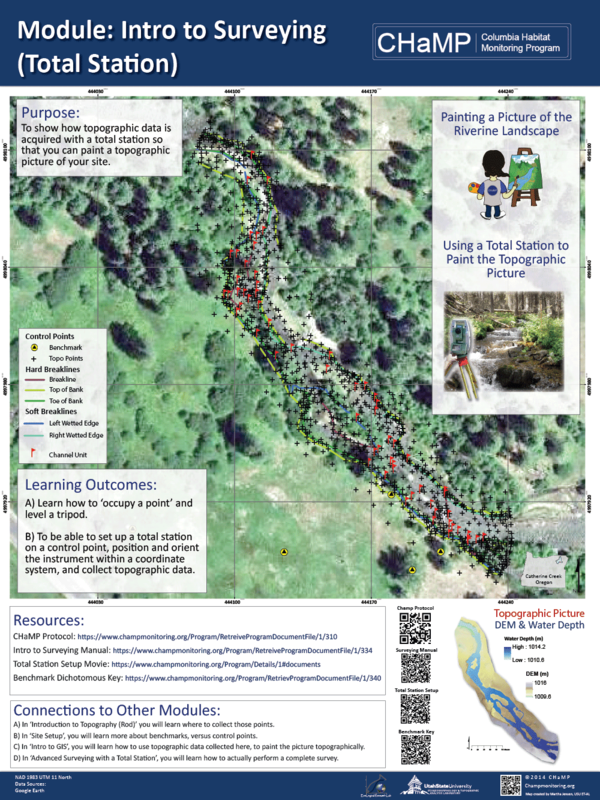 During our field trip, we will leverage the CHaMP (Columbia Habitat Monitoring Program) Protocol (2014) for guidance on how to use a topographically stratified survey approach to paint a topographic picture of a study site. 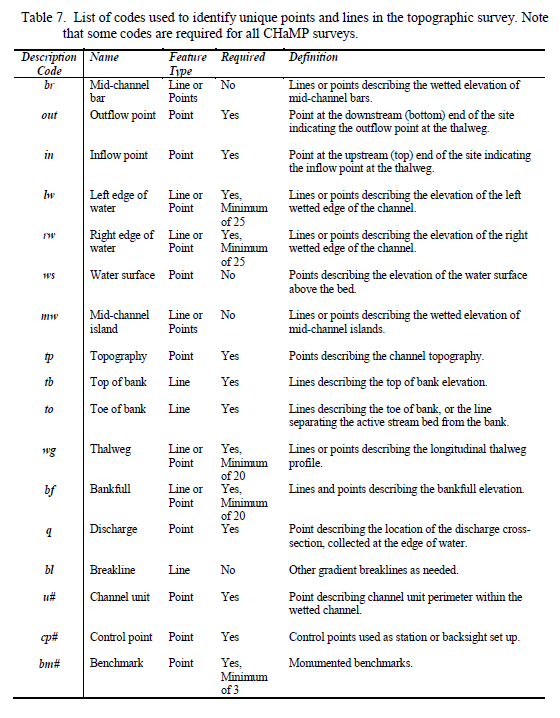 This will help highlight best survey practices for ground-based rtkGPS and total station surveys and the importance of robust control networks to facilitate repeat topographic surveys that can support change detection. CHaMP (Columbia Habitat Monitoring Program) (2012). 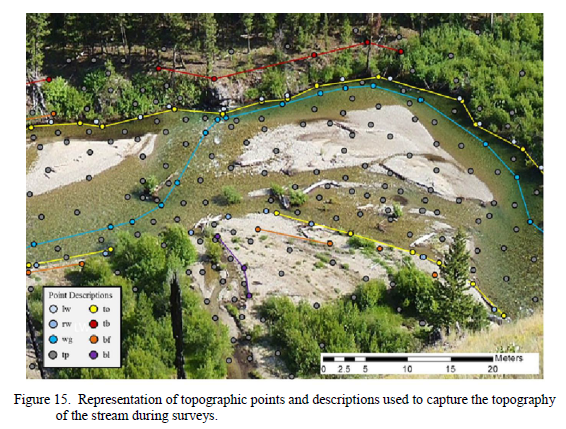 Scientific protocol for salmonid habitat surveys within the Columbia Habitat Monitoring Program. Wauconda, WA, Prepared by the Integrated Status and Effectiveness Monitoring Program and published by Terraqua, Inc.: 188.